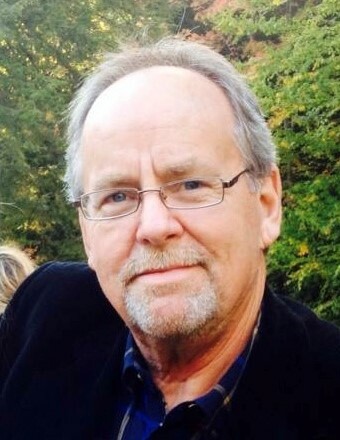 John William DeWitt, 65, of Grantsville, MD, died Thursday, October 18, 2018, at WV University Hospital, Morgantown, WV. Born March 4, 1953, in Oakland, he was the son of Betty Ruth (Ray) DeWitt, Grantsville, and the late Harlan Dale DeWitt. He was also preceded in death by a sister, Diane Marie Yoder and a nephew, Andrew Jay Yoder. John was a self-employed carpenter and was a life member of the NRA. He was a member of God's Ark of Safety, Frostburg, MD. In addition to his mother, he is survived by his son, John Elliot DeWitt, Morrisville, VT; one daughter, Elizabeth Ann DeWitt, Pittsburgh, PA; two brothers, James Dale (Deborah) DeWitt, Stevensville, MD; Richard Lee DeWitt and partner, Janice Lee, Frederick, MD; one sister, Rebecca Kathleen (John) Hubbard, Morgantown; one brother-in-law, Anthony Jay Yoder, Accident, MD; one nephew, Benjamin Jay (Hana) Yoder; two nieces, Darby Elissa DeWitt, Kristen Leigh DeWitt; one great-niece, Autumn Rose Yoder; one great-nephew, Harlan King Yoder and numerous lifelong friends. Friends will be received at God's Ark of Safety, Sunday, October 21, 2018, from 4-8 pm. Services will be conducted in God's Ark of Safety, Monday, October 22, 2018, at 11:00 am with the Rev. Everett Spence officiating. Interment will be in Cherry Glade Cemetery. Expressions of sympathy may be directed to St. Jude Children's Hospital.